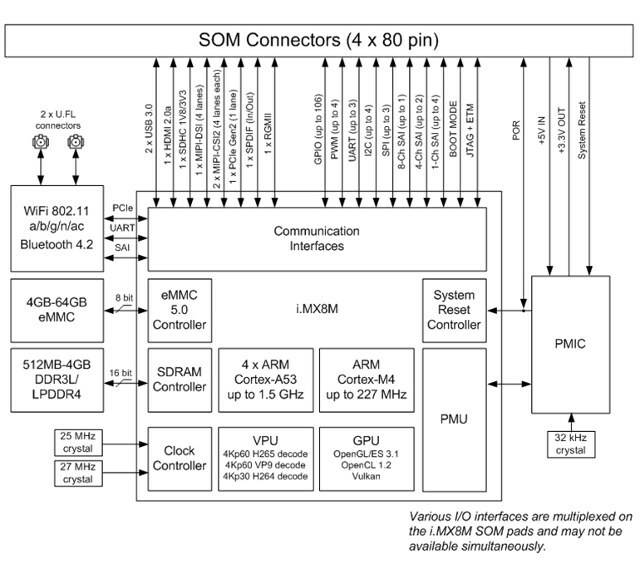 I first discovered Emcraft Systems in 2011 through their work porting uCLinux to Arm Cortex M3/M4 microcontrollers, and since then the company has kept on working microcontroller software and hardware, but also moved to Arm Cortex A class solutions. 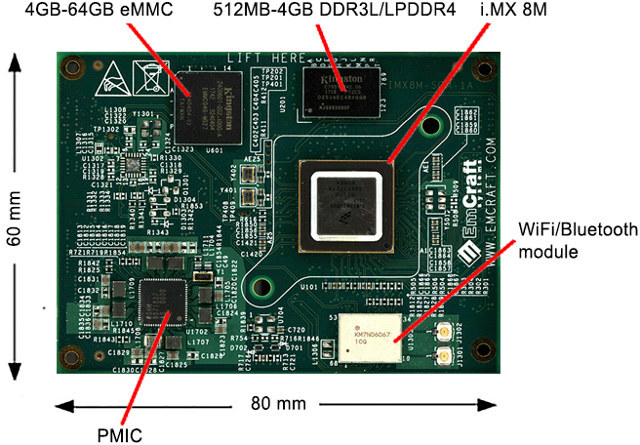 Like most embedded systems companies, Emcraft engineers have also designed their own NXP i.MX 8M system-on-module, but while many have still not announced pricing, and/or show “in development” or “early product announcement” in their product page, Emcraft has started taking pre-order for their i.MX 8M SoM Starter Kit for $299, with shipping scheduled for May 21, 2018 or before. They did not include the Gigabit Ethernet transceiver on-module like most of their competitors, meaning it would have to be included in the customer’s carrier board if Ethernet is needed. 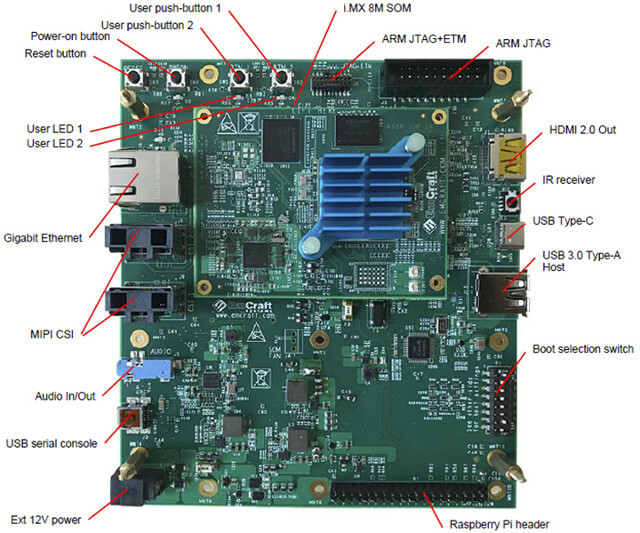 The company has already made the OrCAD design files (Schematics, PCB layout, BoM…) for the baseboard available to customers, as well as some documentation, and source code for Linux, U-boot, Qt5 demo, and Yocto Project meta files. Most of the files require you to login to the company’s website. You’ll find all those resources on Emcraft i.MX 8M SoM product page, as well as the purchase Link for the starter kit. The company also showcased their starter kit at Embedded World 2018 with a demo featuring an animated UI based on Qt/QML 5.8, Alexa Voice Services, video playback, and 3D graphics rendering.